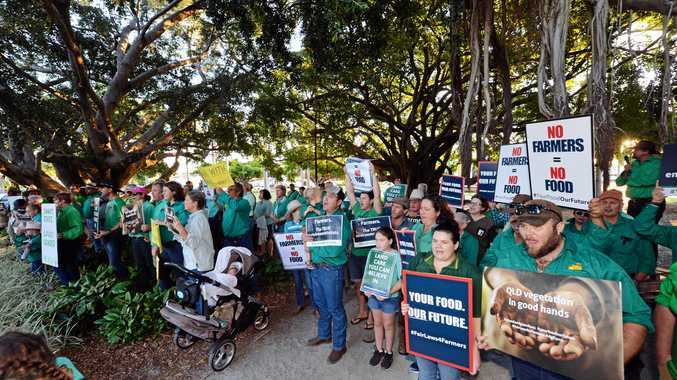 MACKAY Regional councillor Martin Bella is outraged, claiming he was refused entry to a reception the Queensland Premier was hosting because of his involvement with a farmers' protest. His statement on social media about what happened has been shared hundreds of times and attracted dozens of comments. 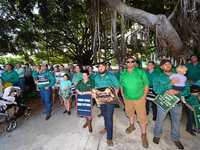 The outspoken councillor was wearing a green shirt and protesting with farmers yesterday before trying to enter the MECC for a meet and greet with Premier Annastacia Palaszczuk. "At 4pm about 60 to 70 people gathered - men women and kids - to protest about the impact on their livelihoods," Mr Bella said. "We were faced with about a dozen uniformed police who informed us that we were to remain behind a line approximately 50 metres from the entrance to the MECC where a function was to be held." 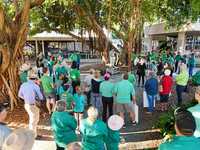 Mr Bella said the crowd obliged until it was revealed that the Queensland Premier was already in the building. 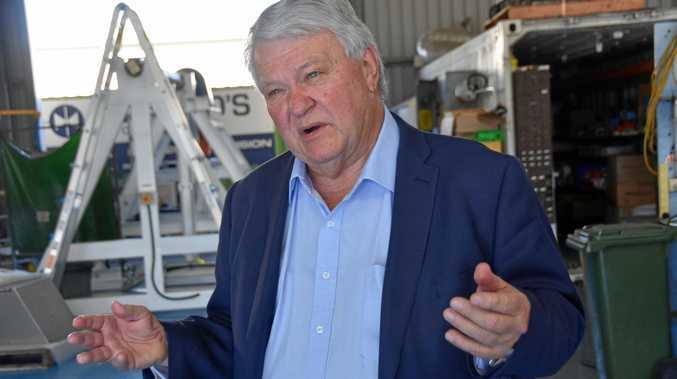 "At about 5.30pm I was informed by another councillor that the premier had sneaked in by the back way," Mr Bella claims. "She did not even have the guts to walk past the people she had so wronged - albeit with a 50 metre separation. "It gets better however. I then attempted to enter the event to present a letter to the premier. I had in my hand an official invitation to the event supplied by the premier to all councillors. "I was apprehended by the police and was informed that they had been told to prevent my entry. This is despite having the invitation and other councillors being given entry. It appears that if you support, or are a farmer you are treated very differently to anyone else. "It is utterly disgusting and later a police officer apologised for having to do it and queried why they were asked to do it." Queensland Premier Annastacia Palaszczuk said it was not true that Cr Bella was denied access because he was wearing a protest shirt, and she would be happy to have a look at the letter he was trying to deliver. She also denied the accusations that she would not talk to farmers. "I was talking to some farmers and graziers at our reception," she said. "I was having a great conversation with them." She said she had very good conversations with farmers about getting their products into New Zealand and Japan. But she did say that when she was in Rockhampton last week, there was some verbal abuse directed towards her from upset farmers. "When there is more respect shown I am happy to sit down with farmers and discuss their concerns," she said. Ms Palaszczuk invited people to put their views through to the Department of Natural Resources.